Nascar will crown its 2018 champion following the Ford EcoBoost 400 2018 Monster Energy Nascar Cup Series Championship race at Homestead-Miami Speedway Sunday, and Snapchat will be a key part of its social pit crew. Full race highlights will be available on Snapchat for the first time via new Snapchat Discover show NASCAR Highlights, which will cover pre-race events through the trophy presentation in Victory Lane. 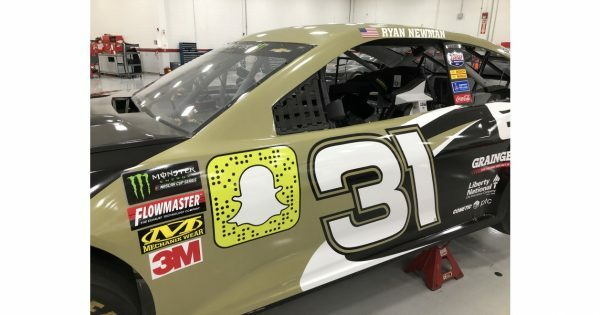 Snapcodes will be featured on racecars during the Ford EcoBoost 400, with some drivers featuring their own individual Snapcodes on the front sides of their cars, while others will display team-specific or Nascar Snapcodes. Fans who are actually at the race will have access to creative Nascar-branded filters to add to their Snaps. As for other platforms, an in-car stream from one of the drivers—possibly one of the four who are contending for the championship—will be livestreamed via Twitter, and a full 360-degree video camera from one of the cars will be available via Nascar Mobile and Nascar.com. Nascar Mobile users will also have access to exclusive augmented reality content, curated live from the track. And the Nascar Drive feature—which enables fans to follow their favorite drivers, lap by lap, with live stat tracking, advanced positional information and additional camera angles—will be accessible via Nascar Mobile and Nascar.com.